Dylan Drysdale, Tim Loughran and Garry Cullum were the big winners after an all-action final round of the 2017 Molecule ProKart Series at the KartSport Hamilton club’s Agrisea Raceway over the weekend. 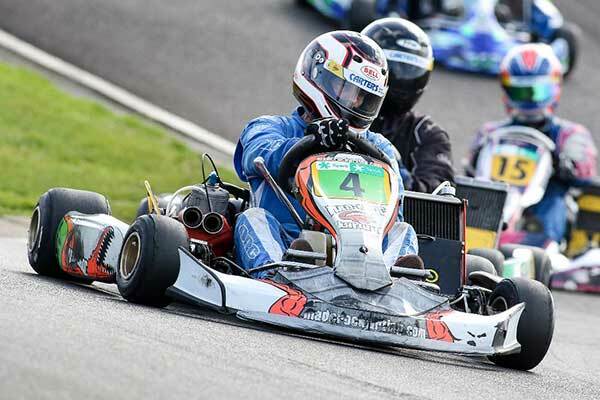 All three took away series’ class titles – Cullum for a record fourth time – but it was a close-run thing in both Wifiplus KZ2 and Aarque Group KZ2 Masters. Young gun Taylor Harte from Tauranga set the ball rolling by claiming pole position on Saturday morning (from Brad Hicks, Drysdale and Mat Kinsman) and it was Kinsman who mastered a mix of wet (Saturday) and dry (Sunday) conditions to win all three heats and the Pre-Final. 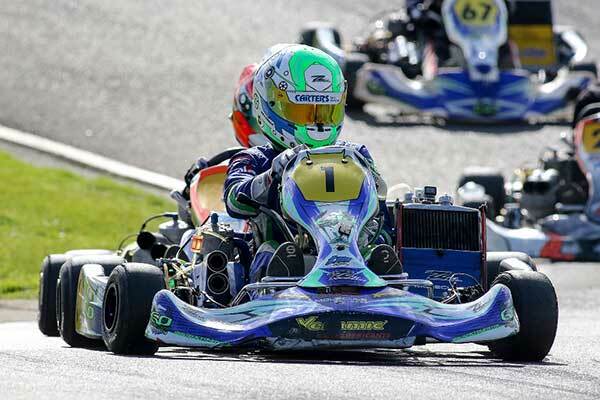 His luck ran out in the Final, however, with contact ending Kinsman’s race only seconds after it started, leaving first round winner Aaron Wilson to take the race – and with it round victory number two for the season. 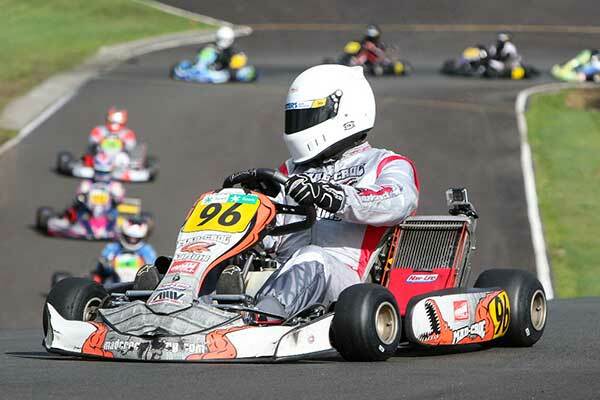 Second place in the Final was enough to secure Drysdale – already the NZ Sprint champion in the 125cc/6-speed gearbox KZ2 class – the Molecule ProKart Series one in the Wifiplus KZ2 class. Though it was a close-run thing, his title-winning margin over class series runner-up Aaron Wilson just four points, with Kinsman having done enough before his ill-fated Final to secure the final series’ podium spot a further eight points back. With 27 karts on the grid the action was fast and furious throughout the field, with time penalties for kerb hopping coming into play throughout the weekend. Top female racer Madeline Stewart was one of the drivers affected by a hard line on the kerb at the top of the track’s famous corkscrew. In the Pre-Final she benefitting by five 10 second time penalties handed out to those in front of her to be elevated to ninth place. But in the Final – in which she crossed the finish line in seventh place – she fell victim to a penalty of her own, dropping her in 13th place in the results. Any chance, meanwhile, that Enrico van der Griend had of maintaining his late season lead in the Aarque Group KZ2 Masters class points standings were dashed early in the third heat (on Sunday morning), when the Auckland ace crashed heavily off the start/finish straight. When the race was re-started former class round winner Andrew Hunt won it from Tim Loughran and quickest class qualifier Brett Hollander. But a win in the Pre-Final, and second spot in the Final behind Aucklander Glenn Ellis saw both the round, and series KZ2 Masters class title win, go to Hawke’s Bay ace Tim Loughran. Brett Hollander capped off a strong season with second for both the round and overall while van der Griend scored enough points before his early exit to hang on to third place. Finally, still as dominant in the KZ2 Restricted class as he was when he won his first series title four years ago is Garry Cullum. The Aucklander was pipped for pole position in qualifying but won all three heats as well as both the Pre-Final and Final to take the Restricted class round win from local club member Aaron Wooley and Gerhard Benadie from Auckland, and the series class win by a margin of 20 points from Aucklander Regan Hall. Wooley capped off an impressive year with third place in the series’ points standings, just two points behind Hall while Wellington pair Jamie Pollock and Shaun Anderson justified all the travel they have had to do in their debut season in the Molecule series with fourth and fifth places respectively just one point apart. Round: 1. Aaron Wilson; 2. Dylan Drysdale; 3. Taylor Harte; 4. Mat Kinsman; 5. Caleb Huston; 6. Daniel Bugler. Final series points: 1. Dylan Drysdale 437 points; 2. Aaron Wilson 443; 3. Mat Kinsman 425; 4. Rhys Tinney 406; 5. Jordan Morris 400; 6. Caleb Huston 391. Round: 1. Garry Cullum; 2. Aaron Wooley; 3. Gerhard Benadie; 4. Jamie Pollock; 5. Shaun Curran; 6. Regan Hall.